Los Carnavales are upon us. 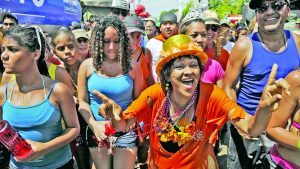 Here in Panama, they don’t celebrate one carnival… but many… in points across the country from Las Tablas to Penonome. 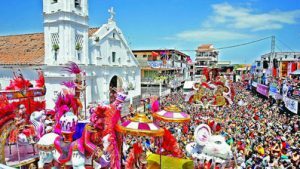 What does it mean to celebrate carnival here in Panama? It means loud music, fireworks, water fights, dancing in the streets, drinking through the night, and sleeping where you fall. Out at Los Islotes, fortunately, we are insulated from all of that craziness. Our region is a bastion of calm and quiet… an escape from the frenzy. 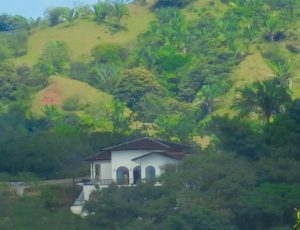 If, though, you’d like to experience Los Carnavales in Panama… just to be able to say you’ve done it!… nearby Mariato could be a good choice. Carnival in this town, about a half-hour from Los Islotes, is a low-key, smaller-scale version of what goes on elsewhere. 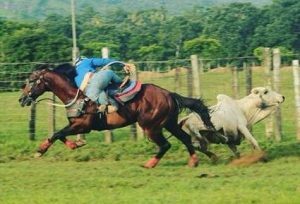 In Mariato, you can experience the floats, the carnival queens, the food, the music, and, of course, the beer… as well as a very traditional calf-roping event… while avoiding the mobs in places like Las Tablas. It’s all in good fun… but not for the faint of heart! 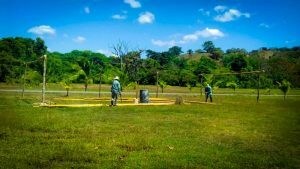 Mayor of the Mariato District Angel Batista has invited Los Islotes to participate in the upcoming meeting with the authorities from Panama City about repaving the road from Atalaya to Mariato. We are excited to accept the invitation and to attend the meeting to help lobby for this important infrastructure improvement. Improving the road that leads down our coast to Los Islotes is a top priority. We’ll keep you posted on the outcome of the meeting and the plan for moving ahead. Now that Union Fenosa has provided electricity to Los Islotes (hurrah! )… and we have electricity in our new Sales Office… our electrical contractor is working to hook up the houses elsewhere on the property. Peg and April’s house is the priority, as our first official home-owners are eager to be able to move into their beautiful new Los Islotes home. Peg and April have been true Los Islotes pioneers, and we’re all delighted that their early commitment to our community is finally paying off for them. They’re eager for neighbors… and at least four other lot owners are in the process of preparing for the construction of their own homes. If you’d like to hear more about Peg and April’s adventures on our sun-drenched coast, get in touch here. Our gold-standard community is definitely the next big thing in Panama, with world-class amenities including swimming pools, an equestrian center, a town center, a fitness center, a beach bar, hiking trails, and much more. Reply to this email or text us at info@losislotes.com for more information. This month we’re officially launching Kaitlin’s Garden. Our new nursery area will be a place to grow plants, trees, and flowers to be transplanted across the property. In addition, it will be a place to wander and linger, to rest and relax. 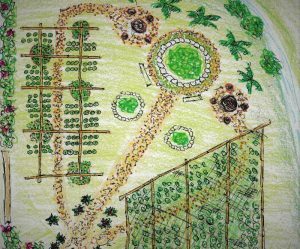 Every homeowner will be invited to select plants and trees from our nursery to start their own garden on their lot if they’d like. And our Los Islotes crew has been encouraged to contribute cuttings and saplings of their favorite local plants and trees as part of a cottage industry program. This is an opportunity for our crew to participate in a hands-on way to improving the property long term. Spread the good news… Share with a friend! Posted in The Latest At Los Islotes.